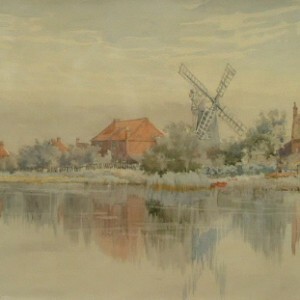 Born in Bolton in 1849 the son of a travelling showman from Norwich Batchelder was about 10 years old when the family moved to Preston where he had the opportunity to study drawing. 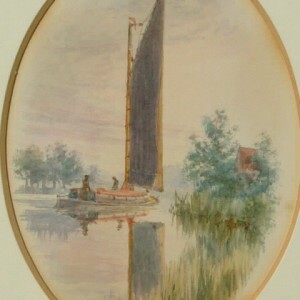 The family eventually returned to Norfolk and Batchelder worked for a Norwich Photographer. 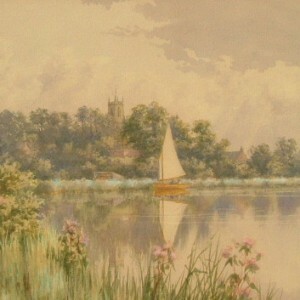 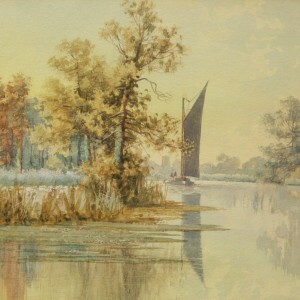 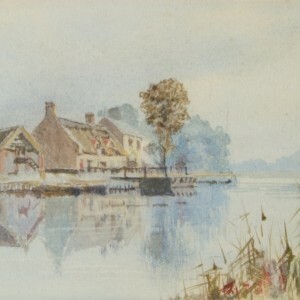 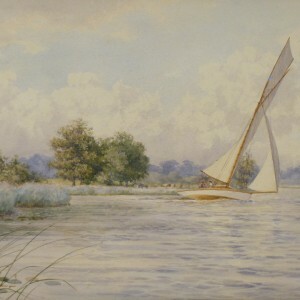 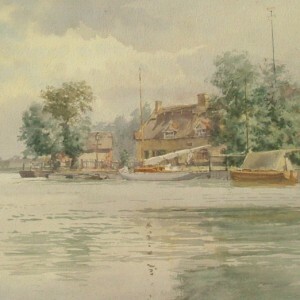 In 1872 photography gave way to painting and from that point he soon established a reputation as a fine Broadland Artist and his success helped to support his family. 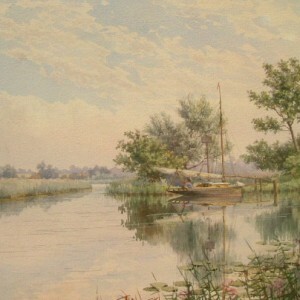 In 1883 Batchelder staged a one man show in Norwich which resulted in many commissions and whilst serving with the Norfolk Rifle Volunteers he gained a reputation as an excellent marksman. 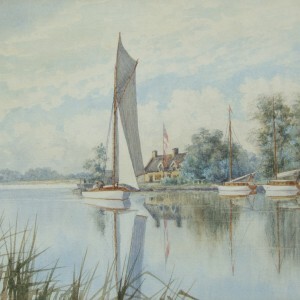 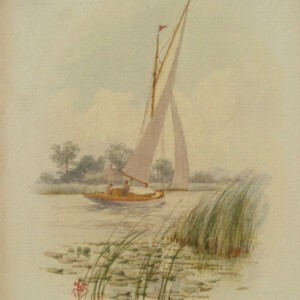 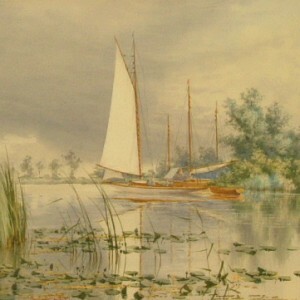 Batchelder explored and painted Norfolk’s waterways by means of sailing his small boat named “Smudge”. 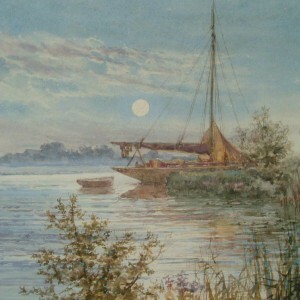 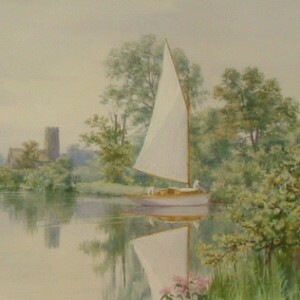 He is recognised as one of the finest watercolourists of his day depicting with great accuracy the wherries, mills, sailing boats, reeds and water lilies of his beloved Broadland. 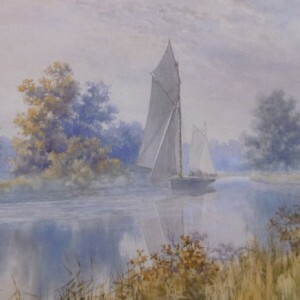 After 50 years of painting and recording Norfolk’s waterways and coastal scenes Batchelder was forced to give up painting due to failing eye sight. 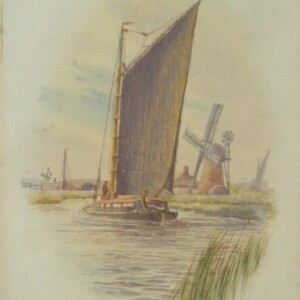 Stephen John Batchelder died at his home 7 Garrison Road, Great Yarmouth in 1932.